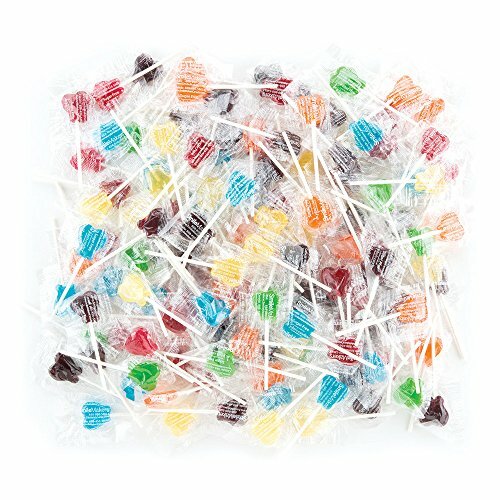 Reward kids for with a delicious sugar-free lollipop! These pops are shaped like teeth, contain no sugar and come in 7 yummy flavors: Orange, Blue Raspberry, Lime, Lemon, Cherry, Grape and Bubblegum. Bulk case is also great for large offices! Ingredients: Polyglucitol, citric acid, natural and artificial flavors, colors (FD&C Blue 1, 2, Red 3, 40, Yellow 5, 6). Free of Major Allergens, including: peanuts, tree nuts, milk, eggs, fish, shellfish, wheat, and gluten.